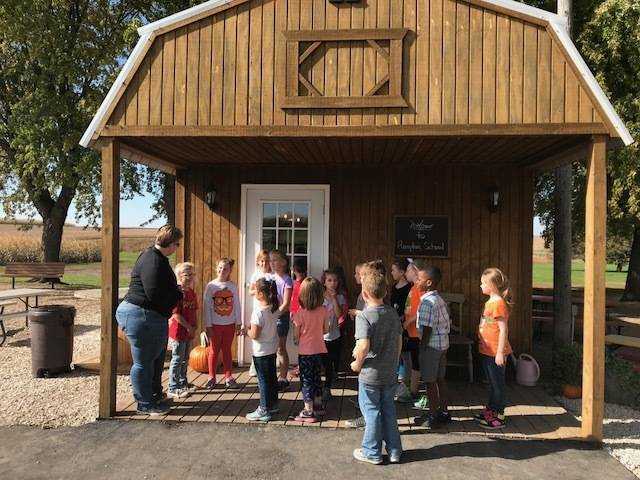 Mrs. Hilbrands’ first grade class at MMCRU - Remsen Elementary visited Pumpkinland, near Orange City, on Wednesday, October 18. They started off by going to “Pumpkin School” and learning about the different types of pumpkins. 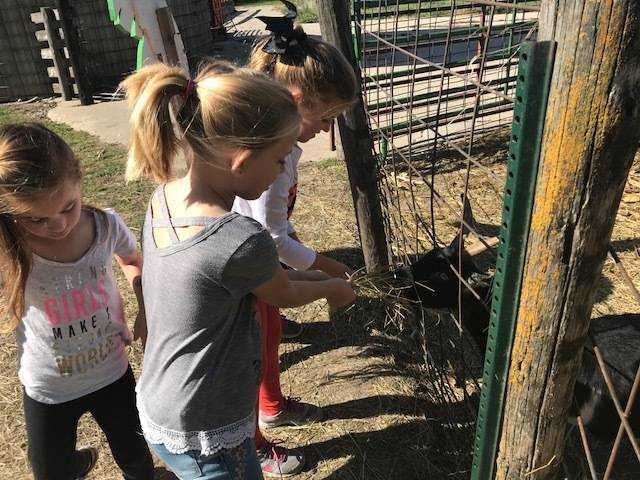 Each student also got to pick a pumpkin from the patch and visit the petting zoo. On the way back home, they stopped at the park in Orange City for a snack and playtime as well. 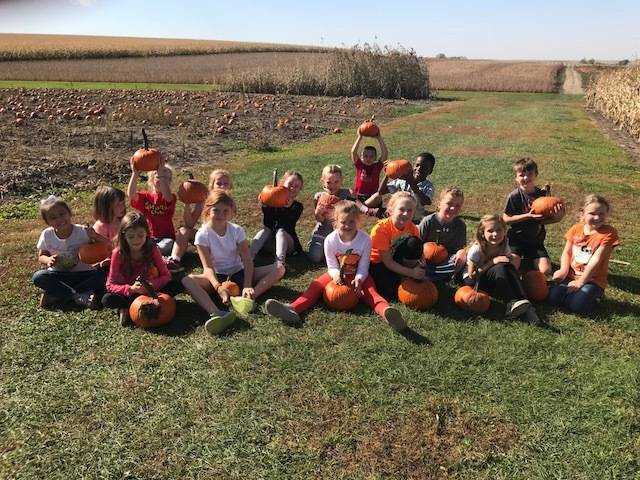 Students that took part in the field trip were: Laiken Bork, Rebekah Casson, Jayda Decker, Ava Frederick, Amaya Gengler, Trulee Gonzalez, Katie Haaven, Colt Krier, Nohlyn Lara, Ashley Mouser, Casaeda Nannen, Israel Okougbo, Samantha Peterson, Celia Shea, Faith Spenner, and Ethan Steffen. The students get ready to learn about pumpkins at Pumpkin School. 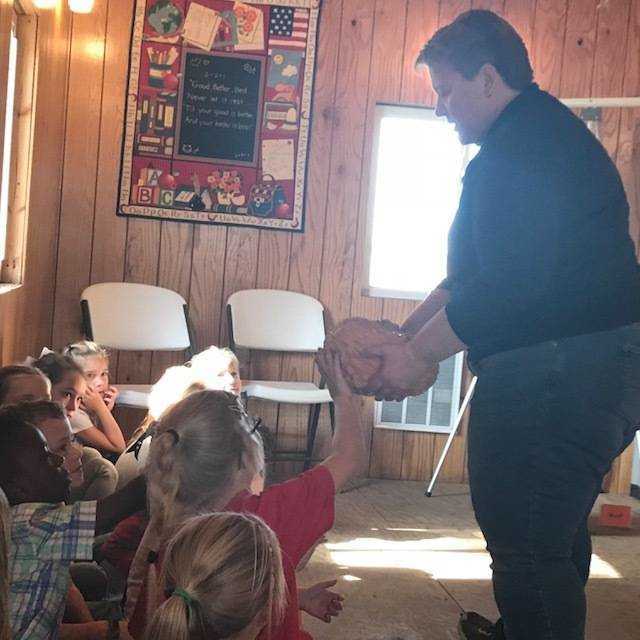 The students learn about the different kinds and shapes of pumpkins. 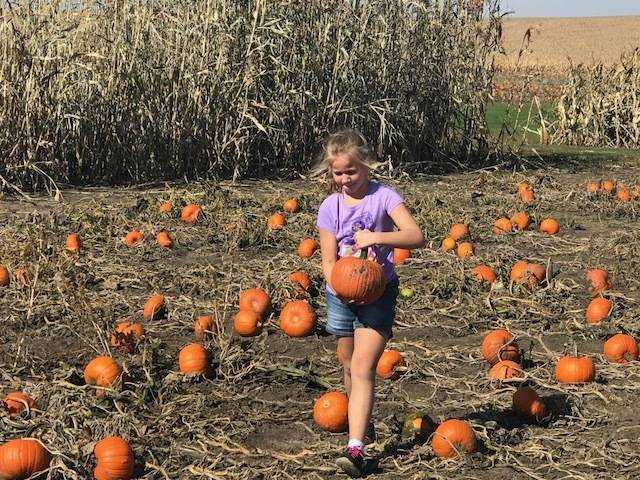 This girl picks just the right pumpkin. Some students feed the animals at the petting zoo. This group of students proudly display their pumpkin choices.